I remember the agonising leg pain like it was yesterday. The indignity of my at-the-time girlfriend having to help me out of the bath still occasionally haunts me. It would be fair to say that the London Marathon ruined me back in 2009, which thankfully feels like an eternity ago. 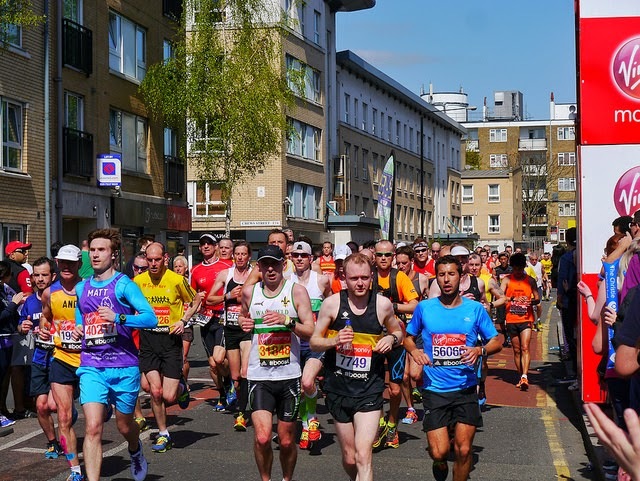 On Sunday I was very happy to watch from the sidelines for a second time, as Missing People's courageous fundraisers braved the route on a face-burningly sunny afternoon to help the charity. 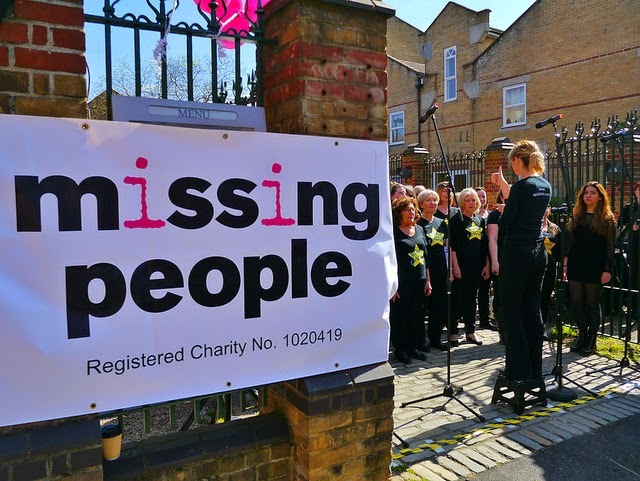 Whether they'd been personally affected or not, all the runners had a huge desire to help vulnerable missing people and their loved ones; to help the charity by funding its 24-hour support for anyone living in limbo; or anyone who desperately needs help reconnecting or finding their way to safety. The climate was not ideal - everyone looked sweltering - but ambition overruled the pain and a vocal, happy crowd carried tired legs a good twenty per cent further. 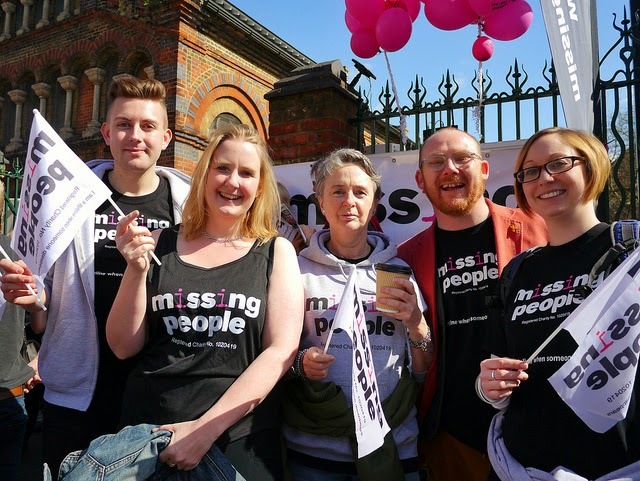 I'm constantly amazed by our volunteers, who gave up their Sunday and were up early to set up the Missing People cheer points. The amazing Rock Choir sang for thousands of runners and soon found themselves cheering for complete strangers, as all manner of young, old, experienced, rookie, big and small runners whizzed past alongside giant chickens, phone boxes, crazy men carrying fridges and a number of well-known celebrities (we saw Mo Farah – disproportionately exciting). pain, the sweaty faces and chafing, everyone has their own story, drive or ambition. "Not so stiff now if I keep moving.